We’ve all heard it – and then we realize, what IS for dinner? Well here is a place for ideas! Please join us and share your recipes – All meal related, family-friendly posts are invited! Feel free to post linkys that are food related as well – the More the Merrier! 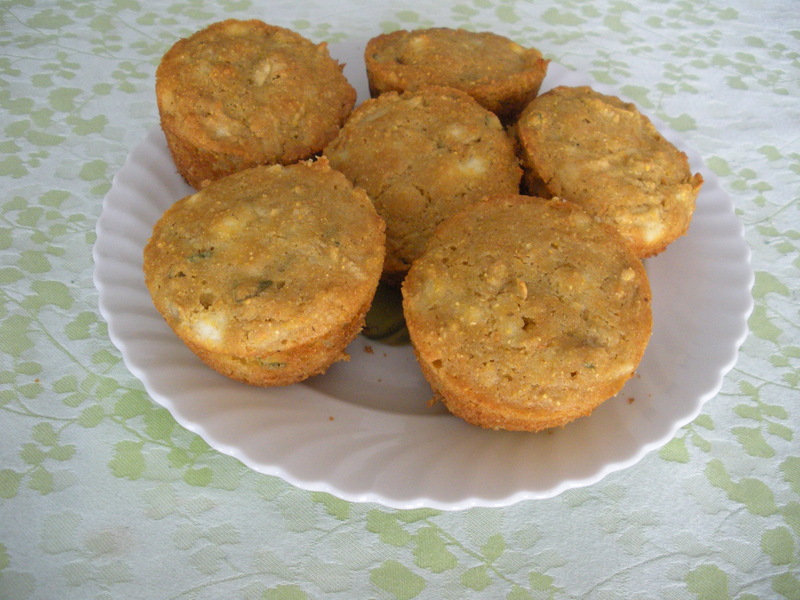 I love the flavor combinations of these Apple-Sage-Cheddar Muffins shared by Carol at Labor of Love – I can’t wait to try these beauties! 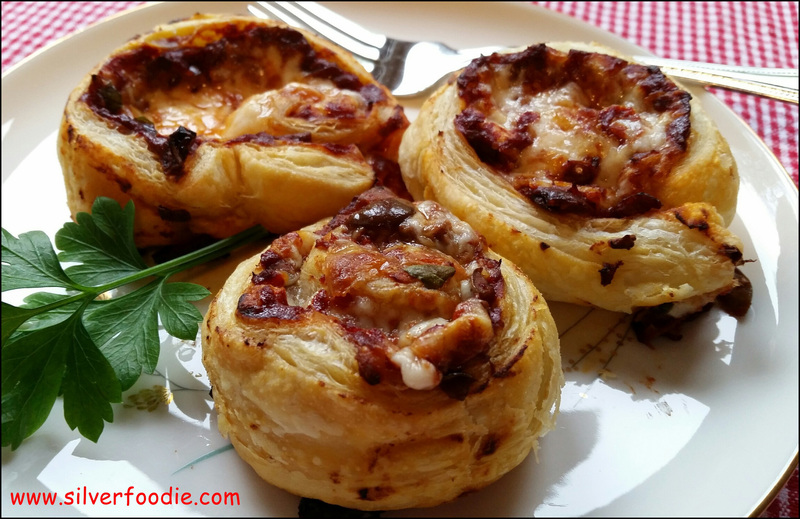 Janet at SilverFoodie shared some great Autumn Appetizers – sure made me hungry! 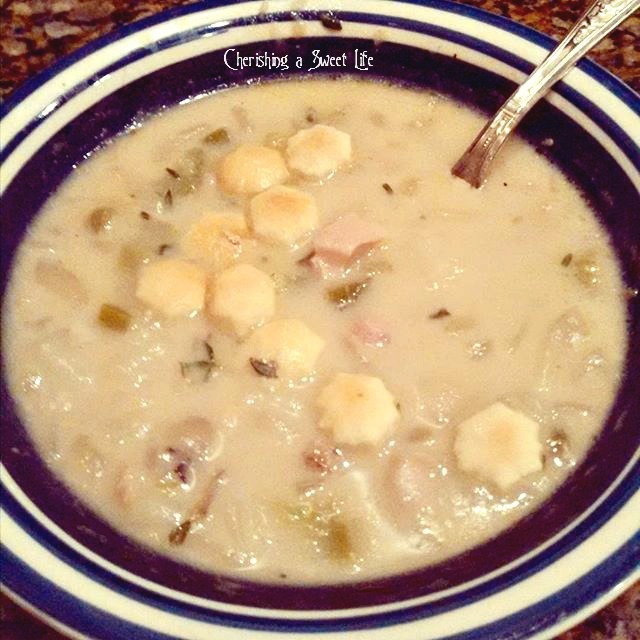 Christine at Cherishing a Sweet life posted Nana’s New England Clam Chowder. Not only does it look great, she tells the story of her Nana sharing the recipe with her. Please visit and pin the features! Now Quick! Tell all your friends about the great recipes people are posting – and stop by and visit them. You’ll be glad you did! Follow the links to find the recipes to both features! And thank you to everyone who shared last week! And if you were featured, please grab the button below and share it on your sidebar! Please leave a comment for your host! If you post a recipe and a comment, I’ll pin your post! And now it’s your turn…. First – Please leave a comment. Second – Only FOOD RELATED posts! If you have another party that includes food, please share it! Third (and last) – Please visit two or three other posts and comment on them. If you really want to help them out, visit several pages! This entry was posted in Main dish and tagged whats for dinner. Bookmark the permalink. Hey! I’m glad I ran across your party. I hope you like my recipe for Pork Belly. Your recipe looks fantastic!! I’ll be looking for some pork (in my) belly to try it!! Thanks for sharing!